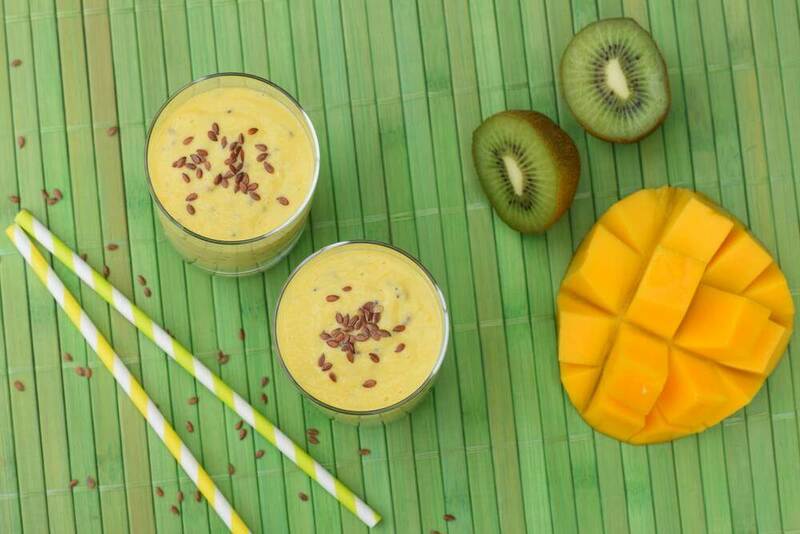 This 3 step Mango Kiwi Smoothie is fresh, delicious, and best of all, healthy. 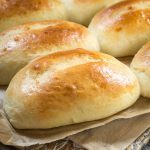 It’s great for breakfast, as snack or dessert! How is your summer going? I’m having a great time on so many levels! One of my highlights was a visit from my son, Michael. He lives in the Miami Florida area and is lucky enough to have a Mango tree in his yard! He knows how I love them and was thoughtful enough to bring me several of those beauties. 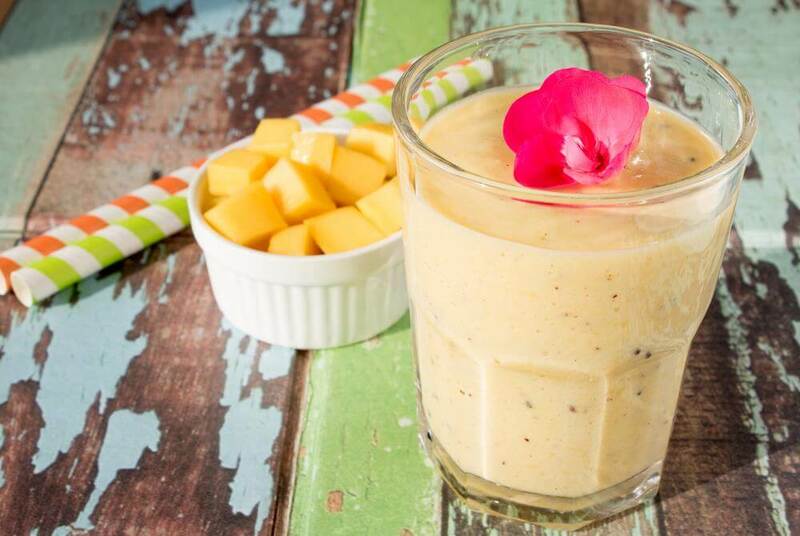 They were perfect in this Mango Kiwi Smoothie created by Jennifer from Jennifer’s Cozy Kitchen. Jennifer is just the sweetest blogger. 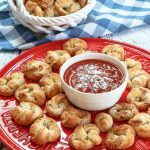 She has a passion for cooking, something we both have in common, and when she offered to guest post on Hostess At Heart, I did an exuberant happy dance! So, without further ado, take it away Jennifer! One of my favorite desserts is definitely the mango kiwi smoothie. This one has the taste that blends sweetness with a minty burst. Of course, my kids love this as well. It is a treat that you can make on any occasion and at any given time possible! Aside from its taste, it is notable that this smoothie is very nutritious. After all, it is derived from mango and kiwi, which is a bountiful source of various vitamins and minerals. 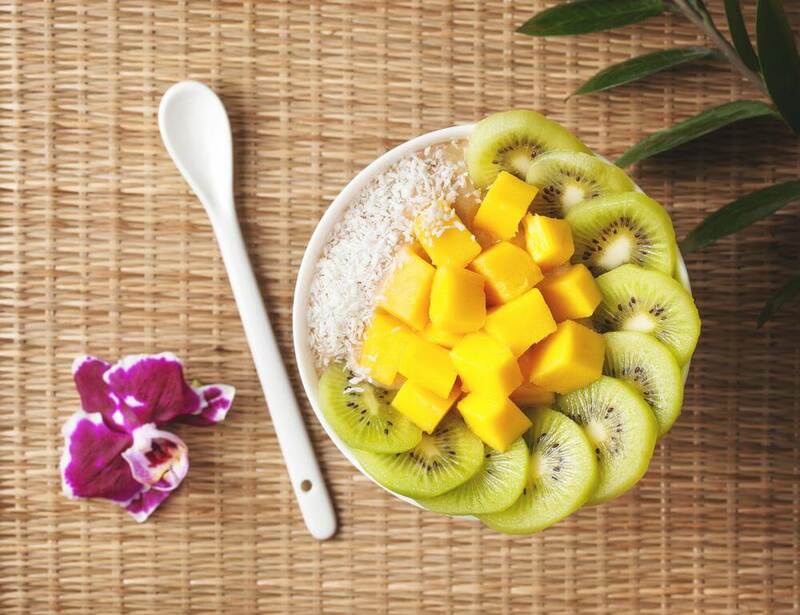 This 3 step Mango Kiwi Smoothie is fresh, delicious, and best of all, healthy. 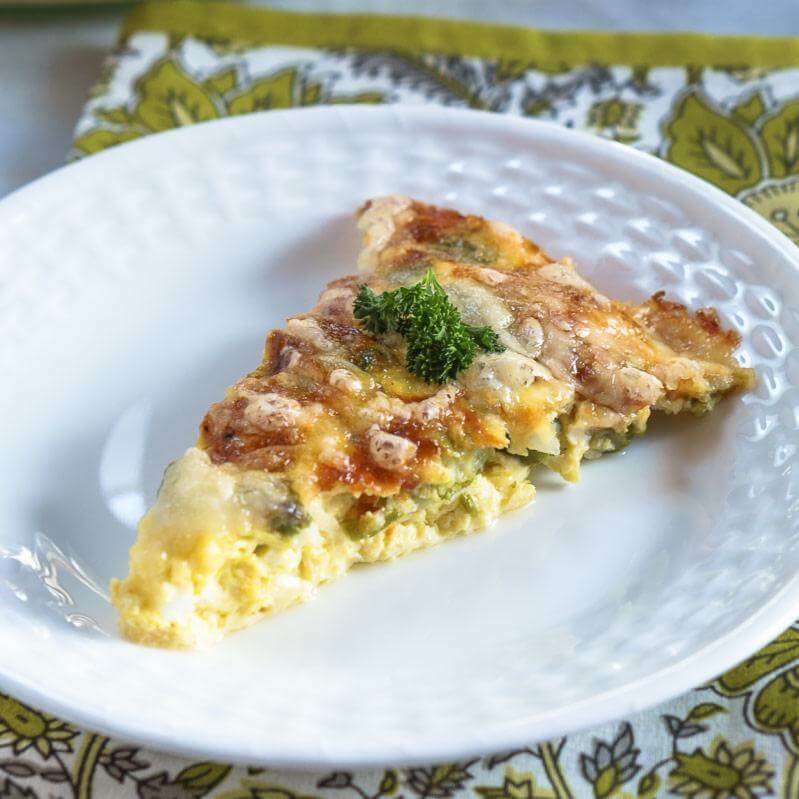 It's great for breakfast, as snack or dessert! Add enough liquid to the blender so the fruit blends easily. It could be water or fruit juice. 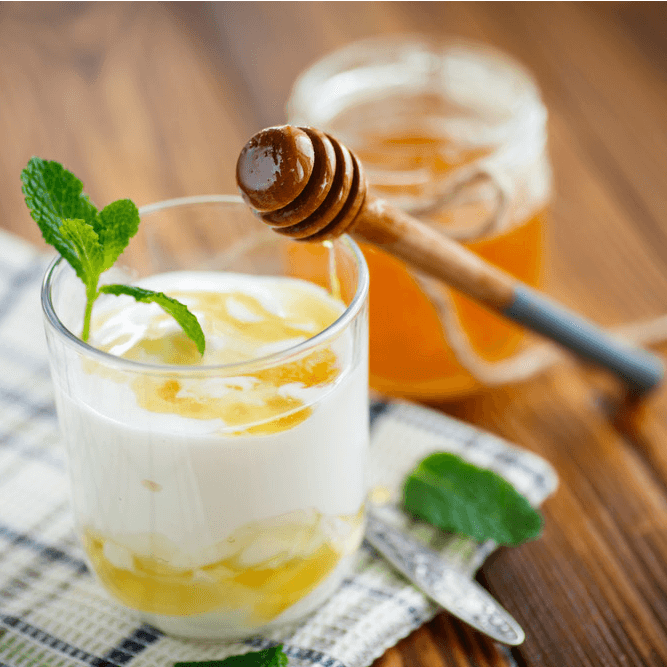 In this recipe, I chose yogurt because it provides a rich and thick texture that is pretty desirable for a smoothie. Add the fruit that you are going to use. In this recipe, our ingredient of interest is mango. Therefore, that is our base fruit. Ideally, you should mash the base fruit first with the liquid. After you mix the base fruit and the liquid, you can add other ingredients to provide another layer of flavor to your smoothie. In this recipe, we will be using kiwi. This particular fruit has souring properties that could perfectly balance the sweet flavor of mango. Peel off the skin of the kiwi and let the blender mash its flesh together with the initial mixture. I usually freeze the mango first before using it in the smoothie. If you don't want to use ice cubes, then the use of frozen fruits is an excellent alternative. It gives the frozen texture that we want our smoothies to acquire. Moreover, it also preserves the nutritional contents of the food. You can freeze the mango by peeling its skin and slicing the flesh into cubes. Put the cubes on a cookie and freeze for 8 to 12 hours. It should work well for your smoothie because it is already cold! There is no need for ice cubes anymore! 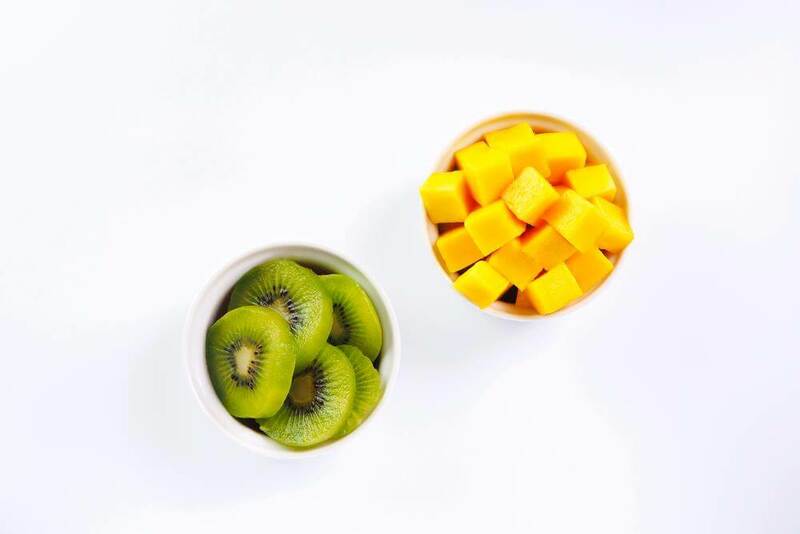 This should make your mango kiwi smoothie recipe! It is a delicious treat that you and your family will surely love! If you want to enhance the flavor of this smoothie, you could also add other sweeteners like honey and sugar. You could still pour in some ice cubes if you want to have an extra cold dessert! Making a mango kiwi smoothie is quite easy. As long as you got the right ingredients and kitchen tools, this dessert is pretty achievable! Of course, it is a great treat if you want food that could support your diet without displeasing your tongue. I love Jennifer’s recipe and I think she did a great job on this recipe. 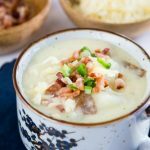 I hope you’ll show her some love and visit her blog, Jennifer’s Cozy Kitchen. If you have any questions or comments for me or Jennifer, leave them below. 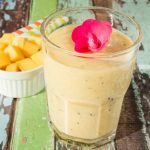 I want to thank Jennifer for working with me to present an absolutely yummy Mango Kiwi Smoothie! 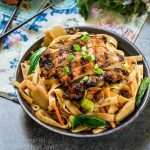 If you’re still looking for some waistline-friendly recipes, here are a couple to start your day! This sounds delicious! I love mangoes sooooooo much! Whoohoo! I’m excited to see a smoothie recipe that doesn’t include bananas (I’m allergic). Gonna give this one a whirl, Julie. Thanks for sharing! Thanks Debbie! Personally I don’t love bananas in my smoothies so this is a keeper! I’ve never had these two flavors together but now I can see how great they’d be!! We like Kiwi a lot (brain food) and I love Mangos. Thank you Mollie! I can use all of the brain food that I can get! 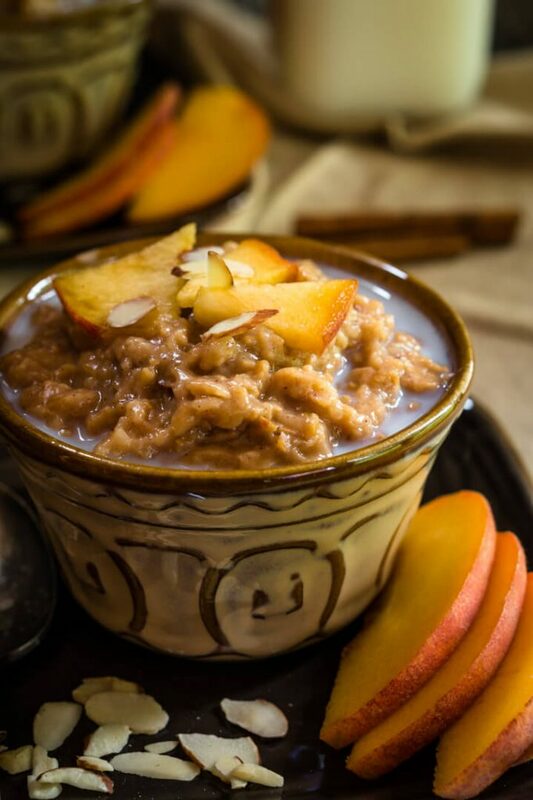 This is a great recipe Jennifer and perfect for our hot weather…or anytime. Thank you for guest posting on Hostess At Heart!